This hat commemorates Jerry Garcia's last show. 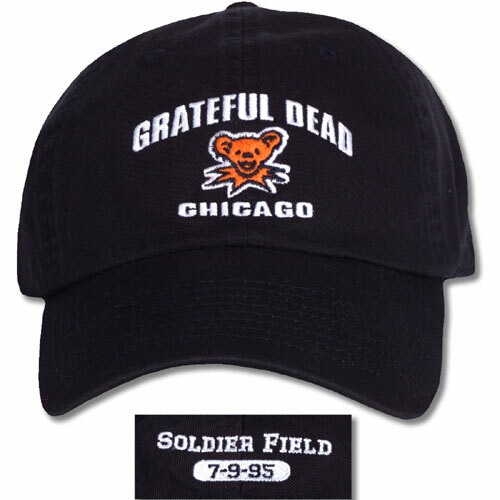 The 1995 Summer Tour wrapped up with 2 nights at Soldier Field. Featuring a relaxed, unconstructed profile, this Grateful Dead baseball cap will fit most Deadheads, and is adjustable by a cloth strap with a metal slide buckle closure. Made of 100% cotton enzyme-washed polo twill fabric.Officially licensed Grateful Dead merchandise.